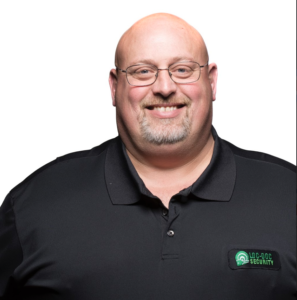 Our Team | The Loc-Doc Team | Loc-Doc Inc.
Community leader, dedicated family man, and always with a great attitude and smile! We are talking about one of our favorite team members, Mike Tyler! Mike has been an important step in our company’s growth. As a Field Supervisor, he guides, advises, and leads on major projects. He also serves as a living example of faithfulness to his team. 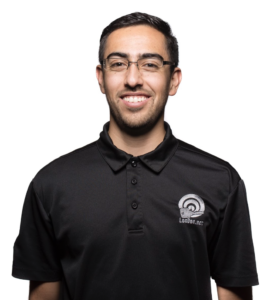 Dedicated, knowledgeable, and always willing to help in any situation, we wouldn’t be as successful without his positive attitude and work ethic. “Customers always like honesty. At Loc-Doc Security they call the employees to be better people. They believe they are in the people business, not the security business. I recently spent some time with our peers and realized that a lot of companies out there look at the bottom line more then improving their people. At the end of the day, if you have happy positive employees, they will do what is right for the customer, and the customer will call and tell others about Loc-Doc. Once you have established a reputation of caring, everything grows. North Carolina Native, United States Coast Guard Veteran, Pittsburgh Steelers Fan, Disney Enthusiast, Pit Master and most recently Captain of the Lake. Thomas is one of the most interesting people you’ll ever meet! 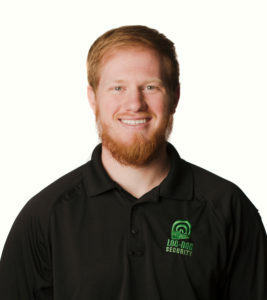 Thomas started as one of our door and lock specialists and has been a solid addition to our team. His natural abilities and leadership skills have been a boon to our growing company and has allowed him to transition into a Training Role. He is always ready and willing to go the extra mile for our customers and has been a problem solver in the field helping other teammates. 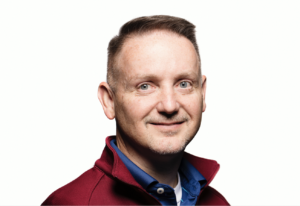 As the Training Director, he is responsible for ensuring our team is equipped with knowledge and real world experience so we can exceed industry standards and our customers expectations. 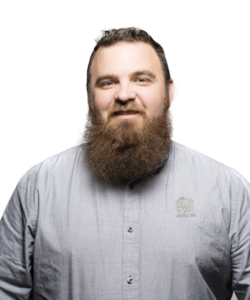 Husband, father, and all around great guy, you can find Thomas on the weekend coaching a sports team, roasting whole pigs, and just hanging with his family! 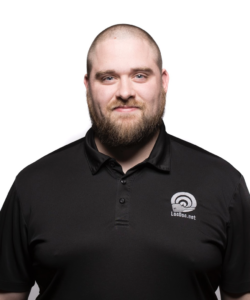 We are happy to have Thomas on our team! Always with a smile and a joke, Sergey has one of the best attitudes and you always walk away smiling after being around him. Driven and one of the top producing technicians on our team. He’s won over 4 internal contests and earned the nickname Tiger! Just like a tiger, he goes after a goal with precision and noticeable results. 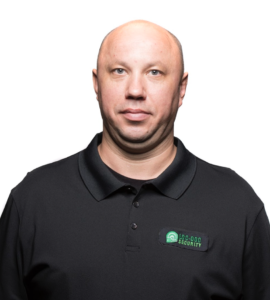 Originally from Belarus (the same country as entrepreneur Gary Vaynerchuk) and with over 20 years in the Security industry, Sergey is making a dramatic impact in the success of our team. He loves being outdoors, going to the shooting range, hunting, and spending time with his family. One of his favorite restaurants is P.F. Changs, and he enjoys sharing bits of his culture (including sweets) with our team. We are proud to have such a great and happy member on our team! Dylan Tyler, originally from New York, has lived in North Carolina since he was two. He enjoys the outdoors, shooting guns, and farm life. In his spare time, he can be found spending time with his lovely wife Allyson. Dylan’s passion for the locksmith trade was established when he would observe and assist his father, Mike, in the back of his Loc-Doc Service Van. Dylan sees Loc-Doc as a lifestyle, not as a job. 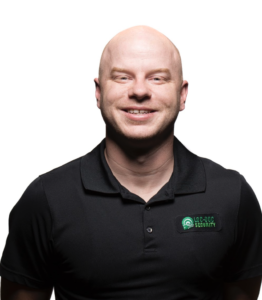 With three years of experience as a Locksmith Technician, Dylan can assist you with proper results to your security issues! 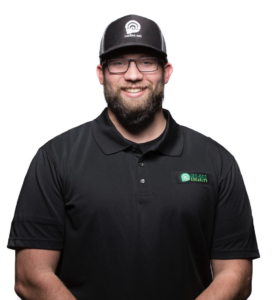 Andrew Moody has completely transformed himself since joining our team and Consistently exhibited the type of leadership skills in line with our Company Culture. We are so happy he is transitioning to the role of Field Supervisor of Electronic Security and equipping him to lead his team. Originally from Mooresville, NC, Andrew loves the outdoors, fishing, hunting, woodworking, and doughnuts! 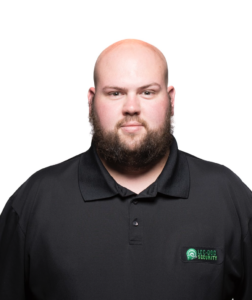 As a part of the Electronic Security Team, Andrew is really focused on doing quality work and setting a precedent of excellence in the field. Andrew brings adaptability and versatility being able to work with mechanical and electronic devices. We appreciate all that Andrew brings, his standard of excellence, and we are proud to have him on our team! 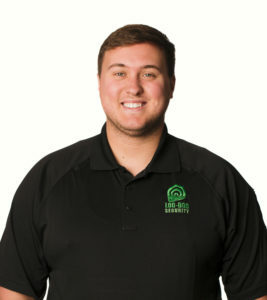 When you call us, the friendly voice you hear on the line will most likely be Levi Gray. If you chat online with us, you will probably be chatting with Levi. And, if you send an email for service, you guessed it, Levi will respond! Meet Levi, our key player for Customer Service. 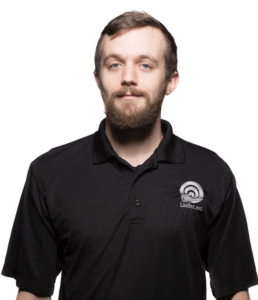 Levi is proficient at communicating with customers and within our team! He has helped to build processes to improve customer service and communication! His experience in serving the customer and meeting their needs has helped him develop and excel in his role at Loc-Doc Security. We appreciate all that Levi does and are happy to have him on our team! “First, I love that at LocDoc, I am valued as an individual. I am not just a cog in the machine, but I am a human being, and my ideas, my successes, and my problems are considered as valid and important to the success of the company. This is very empowering and makes me enjoy coming to work! From Cary, North Carolina, this VOLS fan and lacrosse guru is motivating and coaching our Team on the road to success. Nathan is not only a lacrosse coach in his spare time, but our team coach, encouraging and driving us to surpass our monthly goals! Nathan loves skittles, eating at Common Market, and spending time with his dog Susie. 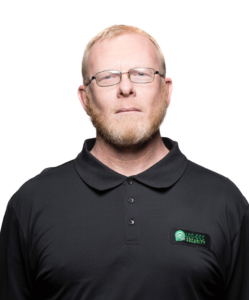 Sam Gray, Purchasing Manager from Kannapolis, NC has been with our Team for 5 years. A self proclaimed chicken wing fanatic and connoisseur, Sam says he could eat wings every single day of the year! His favorite wings can be found at Seoul Food Meat Company and his favorite candy is Bacon. Yes, I said Bacon. 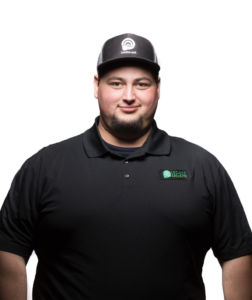 Sam enjoys spending time with his wife Jeana and daughter Moriah and in his free time likes camping and having epic rap battles. 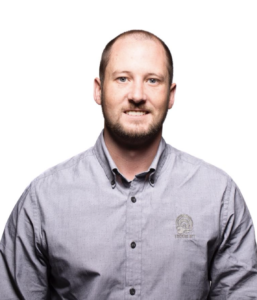 Sam has been with us during the growing pains and expansion over the last 5 years and is a key part to our success. His quest for knowledge and love for facts has helped organize and improve our Inventory Management. We are so happy to have Sam as a part of our team and look forward to more years together listening to Phil Collins! 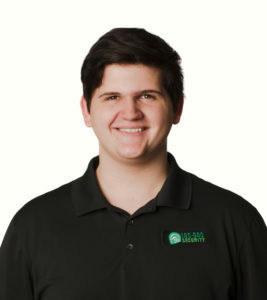 North Carolina native and true southern gentleman, Zach Phifer, hails from Indian Trail and is one of the most charming people you will meet. He enjoys Paddle Boarding, and can be found on the weekend hanging with his lovely wife Holly. 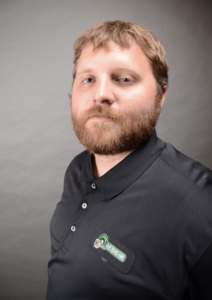 With 4 years of experience in the Lock and Security industry and a background in Criminal Justice he is here to help provide you with a custom solution and guide you through the entire process! 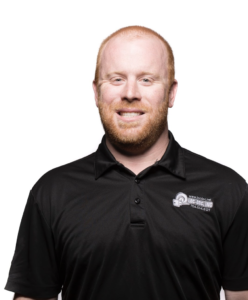 We appreciate Zach, all that he does, and are happy to have him on our team! Talented home cook, expert fisherman, and all around good guy, Kevan Starr is one in a million. 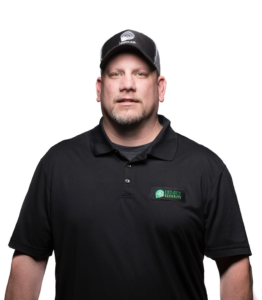 With 5 years of experience in the Commercial Construction Industry, he is an expert at quickly assessing and guiding you to the right custom solution for your security needs! 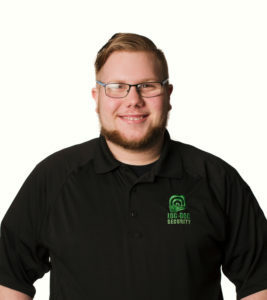 A local from good ol’ Mt Pleasant, he enjoys hiking, camping, finding great eats while traveling, and spending time with his wife Cammy and two sons. Originally from Ceres, California (a tiny suburb outside of San Francisco), McDouglas has made China Grove, NC (a tiny suburb outside of Charlotte) his home. He is an avid runner and just like the mailman, neither snow nor rain nor heat nor gloom of night will keep him from getting those miles. Because of all that running, he can devour ice cream like nobody’s business. McDouglas has an upbeat friendly outlook that draws people to him. Its this positive attitude that makes interactions with him, even though they usually are accounting related, a pleasure. He loves hiking, volleyball, DIY projects and spending time with his wife Elisabeth. Before coming to LocDoc, he was a Barista and can make a mean latte! Our sweet Southern Belle, Allyson Tyler, was born and raised in Gastonia, North Carolina. She is always one of the first to volunteer to help on any project and has a cheerful personality! 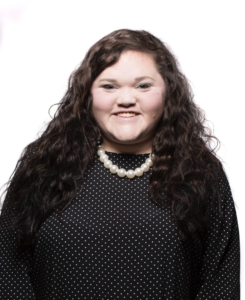 She has been a game changer in the Accounting Department and is one of the most organized people on our team! Allyson has an Associates Degree in Business Administration and a genuine caring attitude. 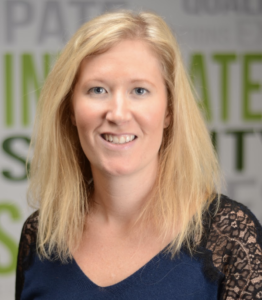 She is ready to help the team in any aspect and thrives off of communication with others. This natural empathy and great attitude helps her to have positive relationships when interacting with our customers. Allyson enjoys playing Volleyball, has a love of Golden Retrievers and in her spare time, she loves spending time with her husband Dylan. 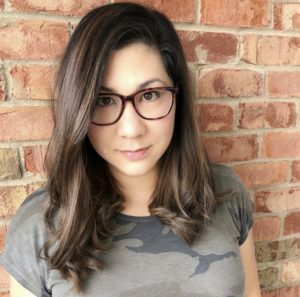 A certified Military Brat, Jessica was born in a small town on the Coast of North Carolina and spent her childhood enjoying life in Southern California, Hawaii, Japan, and Long Island, NY. With a degree in Business Marketing, years of blogging, and an aptitude for all things media, she has been telling our Company’s story post by post and strategizing for future markets. She loves to read, is addicted to fan fiction, consumes dark chocolate regularly, attempts gourmet recipes at home, and hopes to travel to new places. She has a mild obsession with Disney World and is a proud card carrying Passholder to the Happiest Place on earth. Jessica is happily married to a World Changer, adores her two children Katie and Clark, and dedicates most of her phone space to pictures of their everyday life. 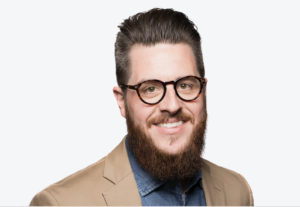 Meet our app developer and robot enthusiast, Lucas Ward. Lucas has spent most of his life in Mooresville, NC, where he was born and raised. From a young age he developed a love of learning and experimenting with science and technology. Here at Loc Doc he is no different. 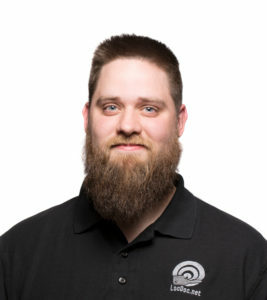 He is always learning new ways to develop and improve our systems and help our company stay on the cutting edge. Some times he is so efficient we wonder if he is a robot in disguise! 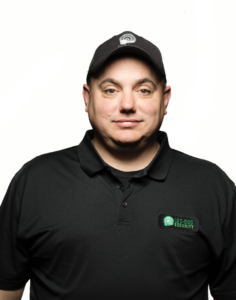 In 2004, after switching careers from Radio Broadcasting, Chad took a chance on an opportunity in a new industry as a trainee technician with Loc-Doc, Inc.
Over time he developed a cloud based work order and customer management system that cultivated a rapid growing environment at Loc-Doc. In 2012 after developing an operational structure, Chad entered into Partnership and has led and grown Loc-Doc to a team of 30 employees. Chad began documenting growing pains, small business insights, and personal experiences. He has revealed how we are building structure and developing a culture of teamwork through short videos distributed on YouTube and other social media platforms allowing other companies the ability to learn through Loc-Doc’s experiences. Loc-Doc Security is now known for its innovative infrastructure and precise ability to implement new products and solutions. The company now maintains a growing Locksmith and Door division and the rapidly growing Integration division. Chad is married to his High School sweetheart Jessica, has 2 wildly adventurous children Katie & Clark, and has owned 3 drones…two lost to the wild and 1 currently still working. He loves New York City, technology, Apple products, a freshly pulled espresso shot, and his family…but not necessarily in that order. You can find him on the weekend with his family and a latte in hand, and during the week, with his team that’s like family with a latte in hand. Let’s just say Chad really likes coffee…a latte.